What is a dermatologist? A skin doctor or dermatologist is a physician who specializes in diagnosing and treating diseases and disorders of the skin, hair, nails, and mucous membranes. These physicians are involved in identifying, specializing, and treating conditions such as acne, skin cancer, and skin aging related issues. They are also involved in cosmetic surgery treatments such as laser therapy, botox injections, chemical peels, etc. A regular physician or general practitioner should be able to deal with minor skin related problems and achieve good results for his or her patients with only basic treatments. However, there are many skin conditions that go beyond what a general practitioner can deal with effectively. For more complex problems involving the skin, the experience and knowledge of a physician that specializes in the area of skin is required. Dermatologists play a vital role in healthy skin care and should be consulted when basic skin care and basic skin care treatments are not effective. Unfortunately, most individuals never see a skin care doctor or dermatologist in their lifetime either because of cost or lack of appropriate access to a dermatologist. As a result, skin care problems are often only treated with over-the-counter type products that may or may not be effective. Quite often the use of such products will make the skin problem worse that it was initially. The other problem with using the approach of self treatment is that the diagnosis of the skin problem may be incorrect. When the proper skin specialist is not consulted the treatment with these over-the-counter products may not be the correct one. In many other cases, no treatments of any kind are undertaken and skin care problems are tolerated by the individuals who go through life with skin that is not in the best health possible. A dermatologist can very accurate diagnose the skin condition. Many types of problems are rare and many are very similar in their symptoms or characteristics. Only with proper knowledge and testing can the correct diagnosis by made. With worldwide shortages of dermatologists or skin care doctors and physicians in general, it is often difficult to find one. There is no need to suffer without taking action or treating the wrong skin problem. 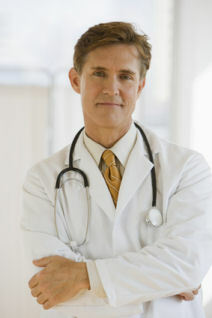 Listed below are links to sites that can assist you in locating a skin doctor. Healthy Skin Care recommends consulting with these sites if you are having difficulty finding a dermatologist.